Professional Wireless Communications offers comprehensive digital wireless radio solutions for manufacturing plants of all sizes. From small warehouses to large, multi-site manufacturing plants, PWC offers digital radio solutions that provide effective communications results for all of your teams – from your maintenance department to shipping and receiving, and from forklift drivers to all of your different areas of production. At PWC, we’re experts in two-way radio systems. We’ll help you solve your communications needs whether you’ve got one plant with five forklifts, or you’re a multi-site operation that needs I.S. radios (intrinsically safe) to be up to code. Manufacturing plants can be noisy, complicated places where excellent communication is necessary for both efficiency and safety purposes. 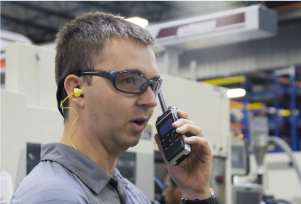 PWC’s two-way radios give you the ability to set up any number of different talk groups to keep your manufacturing plants running as efficiently and safely as possible. No two manufacturing plants are exactly the same. Shipping and receiving can be right next to a production line at one plant and in two different buildings in another. You might need radio lines that are able to connect a production building to a sales floor or an administrative building. PWC uses an in-depth, consultative approach to determine all of the different lines of communication you need, and then offers you the best solutions to meet those needs. Clear communication is essential for nearly any workplace to be effective. 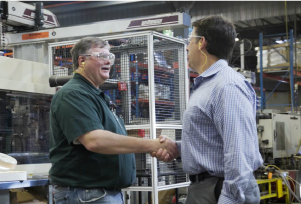 Perhaps nowhere is it more essential than at manufacturing plants for one simple reason: safety. PWC offers digital radio solutions that will make your manufacturing plant run more efficiently, more effectively and more safely. You have maintenance crews, production crews, forklift crews, administration staff and even people on different sites that need to effectively communicate amongst themselves and with each other. We can make that happen. Manufacturing plants usually have a lot of moving parts. Equipment gets dropped, malfunctions or simply breaks, that’s just part of the deal in manufacturing. PWC understands that and we pride ourselves on our customer service and attention to detail with every customer. We can help you with set up and installation and we offer on-site repairs when applicable. 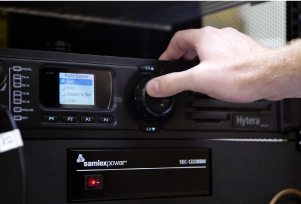 Servicing two-way radios and making sure our customers are satisfied is a huge part of what we do. We understand that every manufacturing campus is different, and that’s why we offer so many different communications products. We generally recommend the Hytera PD6i series for manufacturing, as they offer the durability needed in most manufacturing environments. These radios are rich in features for both voice and data communication and are approved to rigorous IP67 and MIL-STD 810 testing. The PD6i is available in three different models offering custom tailoring to the needs of the user. Its heavy duty alloy frame is significantly more durable than other manufacturers plastic housings. In addition, it is waterproof, submersible to 3’. PWC will consult with you to find out exactly what you need: it may be one set of radios for administration and another set for production floor users. We’re dedicated to matching the right radios to your specific needs.